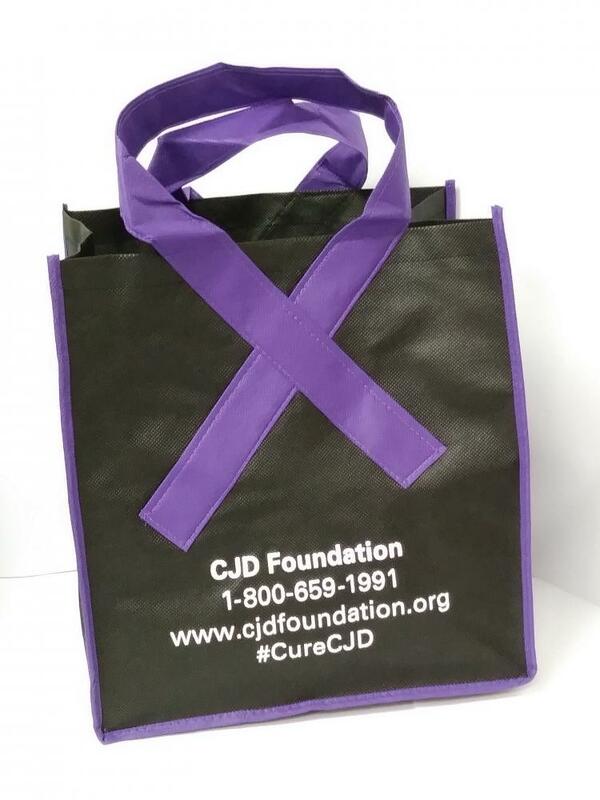 This Purple CJD Awareness Ribbon Shopping Tote is reusable, hand-washable and features purple awareness ribbon design handles. Folds for easy storage and makes a great gift bag too! Click on the photo to the left to see a full-size image.